You may have heard whispers of discontent regarding Star Wars Battlefront II's loot crate unlock system. 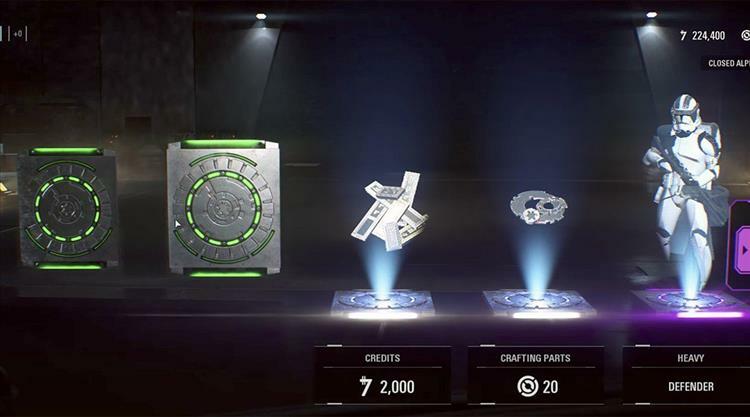 Much of the best content of the game is locked within money traps loot crates, which EA is expecting players to spend either in game currency or real world money on. Everyone is more or less familiar with the general disquiet in the gaming arena regarding loot crates, but never has it been such a (justifiably) huge deal as it is with Battlefront II, because according the experts at SWTOR Strategies, it will take either $2,100 or 4,528 hours of playtime to unlock everything in the game. To convert the hours to more digestible metrics, that equates to playing the game 8 hours a day for a year and a half. As if that isn't absurd enough, these loot crates contain items that affect the actual gameplay, such as a power up that quite literally makes it easier to aim at your enemies. I don't need to tell you that this is outrageous, or that people are outraged. Today's much anticipated Reddit AMA, where the developers faced the music of angry customers, went about as well as you'd expect, filled with vague corporate speak and non-answers. I hate that it had to be a Star Wars property to start the war against loot crates, but it will be fascinating to see what effects a controversy of this scale has on the industry as a whole. Hopefully, it will mark the beginning of a positive change in a corrupt, rotten branch of the industry.